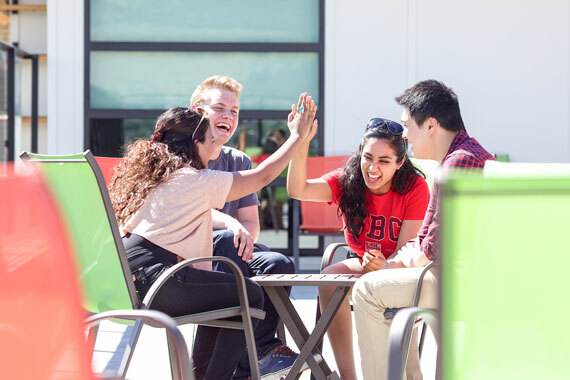 At UBC, we’re big believers in the benefits of living in residence. And we’re not alone. Researchers back us up and the students, themselves, do too. Are more comfortable with the campus environment and more satisfied with their university experience. Have more interaction with a diversity of faculty and staff, resulting in greater opportunity for mentoring relationships, academic discussion and exploration of ideas. Show more rapid development of social and interpersonal skills. Experience greater personal growth and development. Have higher self-esteem, feel better about themselves, their accomplishments and demonstrate more self-confidence. Develop greater tolerance for different cultures and lifestyles, learning how to break down cultural biases and stereotypes. Build stronger friendships, and experience a greater sense of community. Interacting/working with others in small groups. Expressing one’s ideas in formal or informal meetings. Creating and following through on projects. Are more likely to graduate from university. Best news of all? Research suggests the net effects of residence living tend to be cumulative, and may increase in magnitude over the resident’s university career. Residence staff make us feel welcome. Making new friends from the great mix of people on my floor. Quiet study hours and easy access to information. Planned activities help me get to know my neighbours. Emphasis on respect for diversity. Meeting intelligent, creative, open-minded people. A good balance between academics and social activity. Learning to live with different people. Chances to participate and try new activities.